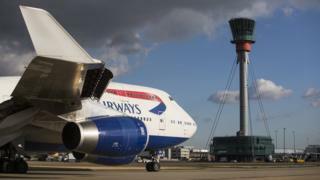 Building a third runway at Heathrow will allow more connecting flights with other UK airports, Transport Secretary Chris Grayling has said. He told the Commons that six regional airports could be added to the Heathrow hub network, bringing the total to 14. The new airports are thought to be Belfast, Liverpool, Newquay, Prestwick Humberside, and Durham Tees Valley. His comments came as he launched a public consultation on a new runway, unlikely to be operational until 2025. Last October, after years of delay, the government said that building a third runway at Heathrow was its preferred option for expanding airport capacity. Mr Grayling told the Commons that a third runway would generate tens of thousands of jobs, and be a major boost to the economy as Britain prepares to leave the European Union. "By backing the north-west runway at Heathrow airport and publishing our proposals, we are sending a clear signal that when we leave the EU, we are open for business," Mr Grayling said. With the government about to set out its strategy for withdrawal from the EU in a White Paper, Mr Grayling said that a third runway at Heathrow would enhance the UK's global links. "Leaving the EU is a new chapter for Britain and provides us with a great opportunity to forge a new role in the world. We are determined to seize that opportunity and having the right infrastructure in place will allow us to build a more global Britain," he told MPs. Media captionChris Grayling tells Radio 4 Today a new Heathrow runway will create "essential economic links"
Alongside his announcement of a "draft policy statement" on Heathrow expansion, Mr Grayling also issued a consultation document on improving Britain's air space infrastructure and investing in new technology. He said it made sense to carry out the two consultations together, which will run until 25 May, with the final decisions going before Parliament late this year or early 2018. The consultations on Heathrow and air traffic facilities will involve events across the country "because the whole country will benefit," Mr Grayling said. He is due in Glasgow later to expand on how travellers and freight users outside the south east England will benefit. The cost of a third runway is estimated to be £22bn, and is forecast to generate about 70,000 jobs. An additional 260,000 take-offs or landings would be permitted each year from the expanded airport, on top of the current cap of 480,000. The consultation will consider such things as pollution, additional rail and road infrastructure such a roads, and the impact on surrounding towns and villages. But there is expected to be continued significant opposition to the third runway proposal. Earlier, Liberal Democrat MP for Richmond Park and North Kingston, Sarah Olney, accused the government of being "so desperate" to reassure businesses about its Brexit plans that it is "willing to steamroller over those communities opposed to Heathrow expansion". 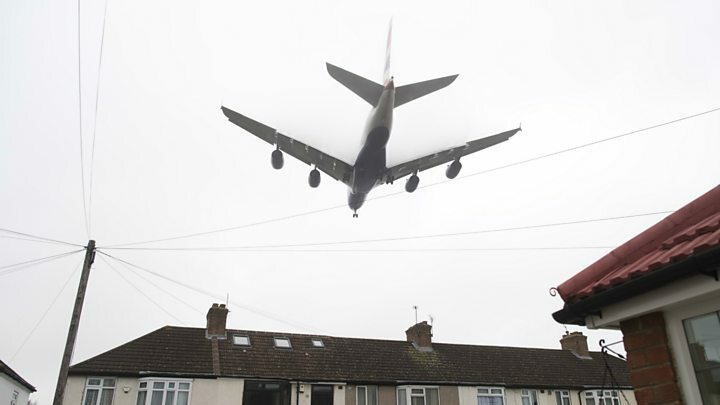 And John Stewart, chairman of anti-Heathrow expansion group Hacan, said it was important that the government assessed the consultation "in an even-handed way" and rejected the plan if the expected impact on issues such as noise was found to be "too great". The biggest long-term environmental challenge for aviation is climate change. The government says a rise in aviation carbon emissions alone is no reason to reject expansion - unless that increase is so great it risks breaching the government's overall carbon targets. But the government's official advisers, the Committee on Climate Change, previously warned that's exactly what's likely to happen. They say growth in aviation emissions will mean ministers have to squeeze even deeper emissions cuts from other sectors of the economy. They are already struggling to meet carbon targets in heating and transport and the committee says it has "very limited confidence" that sectors like steel-making and heavy industry can cut emissions even more to accommodate people flying.